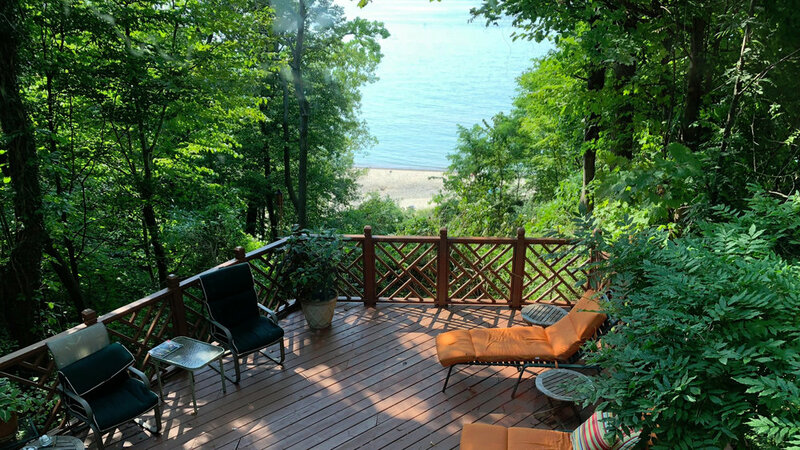 Casa de Playa is a lakefront home located in Lakeside with Private Association Beach Access and amazing lake views. 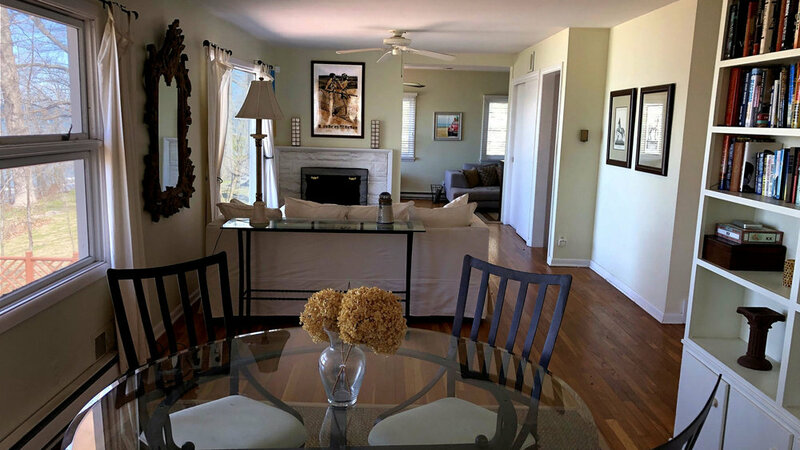 This home features 3 bedrooms, 2 bathrooms and sleeps 6-8 guests. 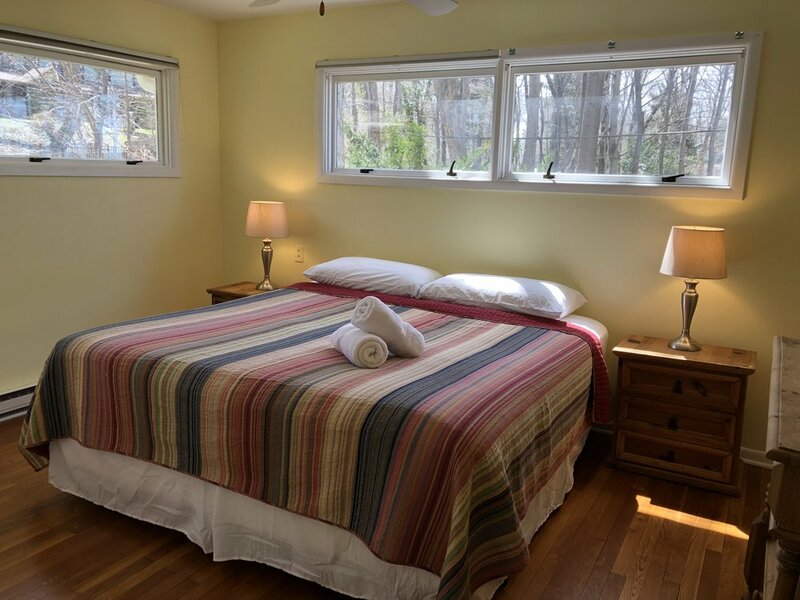 As you approach the house you enter into a large screened porch amongst the trees that is very secluded but large enough for all of your guests. 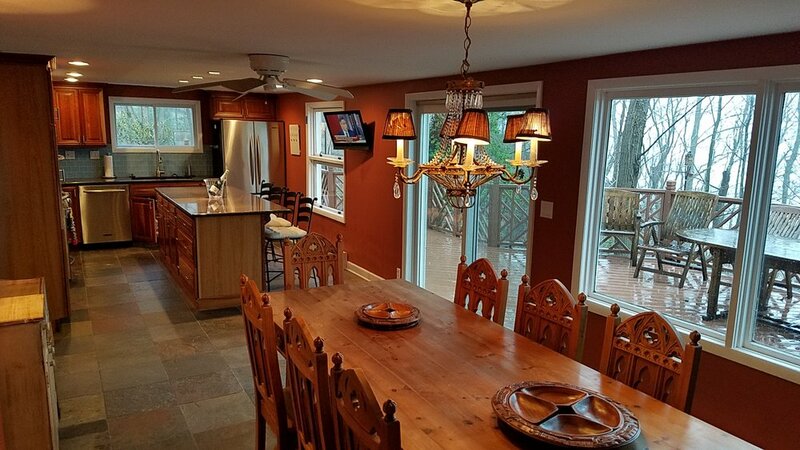 Upon entering the house you immediately have lake views from the large picture window in the TV room. 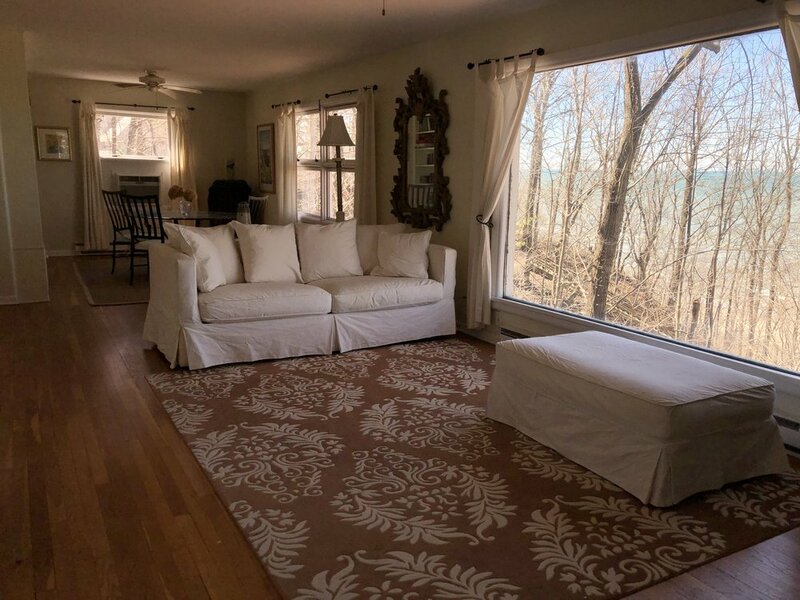 In the living room there is a pull out couch and another large picture window for viewing the lake. The views in this home are just stunning! Just beyond the living room is a table for playing games, eating breakfast or maybe doing a little work (but not too much, you're on vacation!). 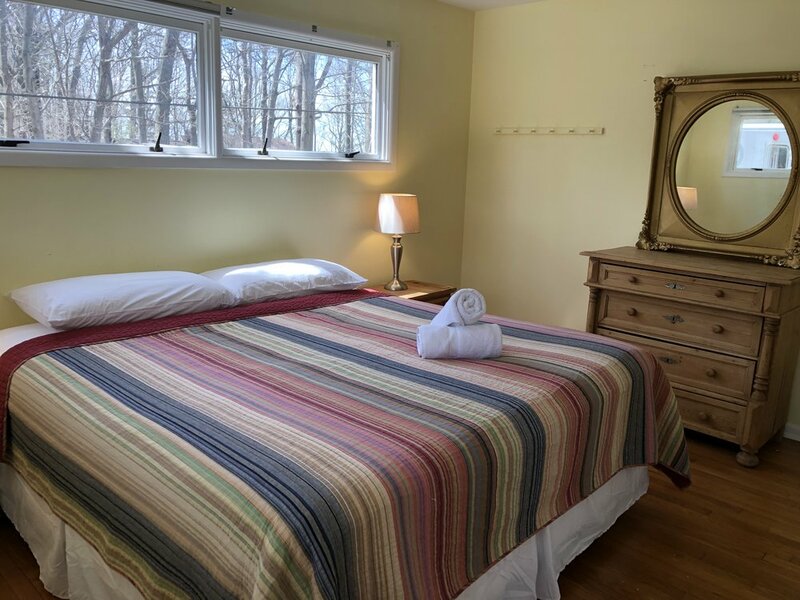 On this main floor you have two bedrooms, one with a king bed the other with a queen bed and this floor has a full bathroom with jacuzzi tub. 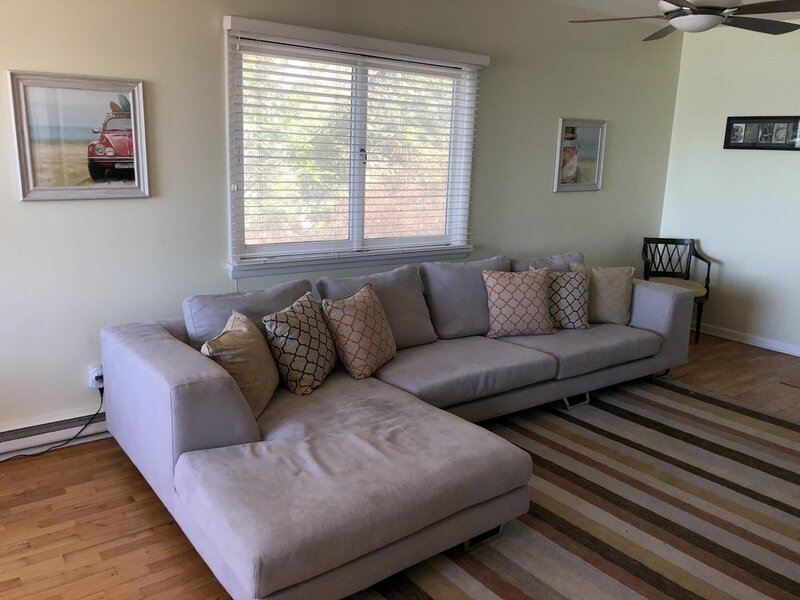 On the lower level you will find your third bedroom with a queen bed, another full bathroom with walk in shower, the laundry room and a beautiful kitchen with stainless steel appliances, an island for sipping cocktails as someone prepares dinner and a large dining room table. This level walks out onto a very large deck overlooking the lake. There's plenty of furniture for lounging, a table for eating a meal and a large gas grill! At the side of the house is the path to the beach that takes you to the stairs. 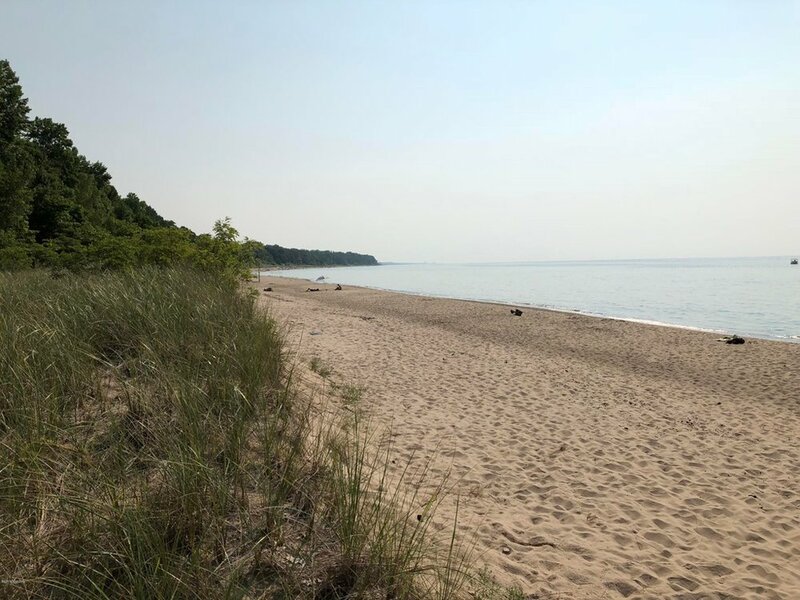 There are many steps but it's all worth it once you place your feet into that soft sand and take in the beautiful views of Lake Michigan. 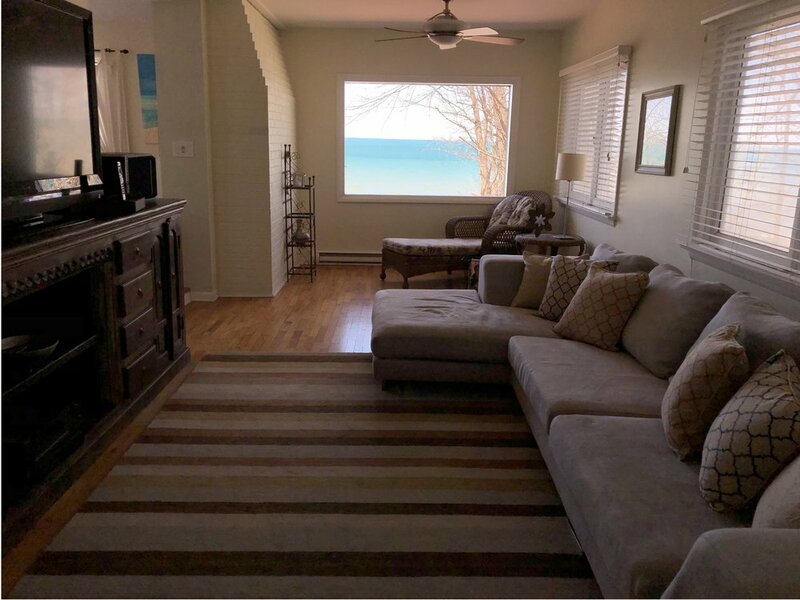 As you stay in this home be sure to spend a little time watching the beautiful sunsets on the beach, swimming in Lake Michigan and walking along Lakeshore Rd. 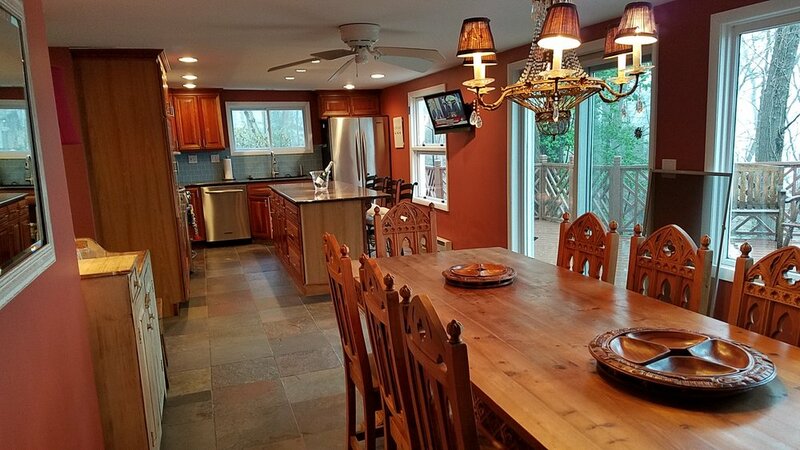 This home is within driving distance to restaurants, shops, breweries and much more. New Buffalo is just a 5-8 minute car ride from the house where you can enjoy Stray Dog or Beer Church. 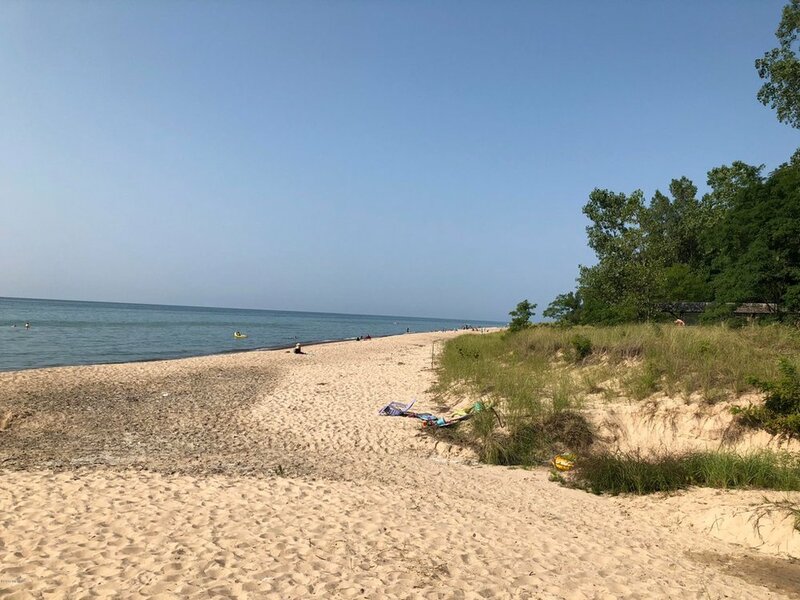 Sawyer is about a 5-8 minute car ride to Warren Dunes State Park or Green Bush Brewery. Come and enjoy all this home and area has to offer! This is the calendar updated DAILY of the most recent rentals. Minimum 3 nights only, unless otherwise specified, this is a LAKEFRONT property, first come, first serve. Due to the high demand of this type of property we are unable to hold it at this time. Remember no booking fees when you book direct with us. Check out our inventory as we have added some new homes! This well stocked home was clean and inviting with a large screen porch. It was an easy walk to the beach. It was the perfect getaway for our family. Plus Tonya at aqua vacation rentals was great to work with! !